Finding just the right gift for anyone can be difficult, but finding gifts for preschoolers can be downright exhausting. There are just so many things out there, and they want EVERYTHING they see. So, how do you ignore the toys that will be played with for 5 minutes and never touched again, and find those toys that will be treasured? Introduce you to some toys with which you may not be familiar. I can never speak highly enough about legos! There are so many sets to choose from, and the amount of brain power that goes into constructing is fantastic. For this age group, I would suggest Duplo bricks for kids that are unfamiliar with building or are on the younger side of the preschool age range simply because the bricks are larger. However, the regular-sized legos are perfect for kids around 4-5+. This is a guaranteed win for both BOYS and GIRLS! We have had this game for YEARS, and, yes…we still play it! This game is designed for children as young as 3, but older kids will love it, too. To play this game, you lead the ladybugs through the garden collecting aphids and avoiding the praying mantis and the lazy ants. It encourages counting, color memory, and early reading skills. This game is appropriate for boys and girls, and is the perfect addition to every family’s arsenal of board games! When considering gifts for preschoolers that they will love and that are wonderfully educational, this puzzle is wonderful! It teaches kids how to complete basic skills including a snap, zipper, button, clasp, and lace. These are all real-life skills that every child needs to know. The fact that it is in puzzle form makes it so much more entertaining! If you have a child that needs help with fine motor skills (working with smaller objects) then this is an absolute must-have! Yes, this is an oldie but goodie. We have used Play Doh for hours of fun, and so it has to be included on a list of gifts for preschoolers. Be sure you get the original Play Doh brand because it’s the longest lasting in comparison to other brands. I don’t think I need to go into much detail here, but consider adding a few jars to your preschooler’s stocking. It will be a guaranteed winner! Magnets have been around forever. But, my dad bought a set of magnets from QVC, called Magformers, unlike any I’d ever seen when my youngest son was about two. (While my dad said he bought them for my boys, I thought they were more for him since they stayed at my parents’ house.) And, honestly, I figured my boys would play with them for a day or two and then lose interest. However, I have to tell you that my boys STILL play with those things! They love to create different three dimensional shapes using the magnets. My favorite part about these is the fact that it helps kids develop spatial reasoning and critical thinking skills. In other words, they see the shapes on a flat sheet of paper, and have to put the magnets in that order. Then when they lift the magnets up, they form a 3D shape. This toy will develop understanding of shapes and help your child get a head-start on geometry! This game is ideal for preschoolers! It helps encourage color learning and develops matching skills as well as hand/eye coordination. With a similar game play as the original Hi-Ho! Cherry-O game, this particular game requires players to spin the spinner and pick up the matching acorn with the special “squirrel squeezer.” The first player to collect all 5 colors wins! During the preschool years, play is the way children learn. So, this cash register set is the perfect way to add imaginative play into their daily activities. With a built-in, solar-powered calculator, full- size play money in varying denominations, and sounds, this will be a toy your preschooler will adore! Just through play they will be developing early calculator skills, money skills, and fine motor skills. And the best part is that they will have a blast doing it!! This is another game with a fun twist! Played similar to Bingo, Zingo helps pre-readers and early readers with picture and word matching. Kids can play independently or with another player! There are several versions of this game including Zingo Sight Words which would be an excellent resource for advanced preschoolers or kindergarten-second grade kiddos. Have you ever felt this stuff? It is sort of liquidy-feeling, but solid at the same time. I don’t know how they create this, but it is awesome! This set comes with a sand box and different molds for your preschooler to use. (We chose to put our kinetic sand in a Sterilite box that we picked up at the Dollar Store to ensure that the sand and molds stayed inside the container.) 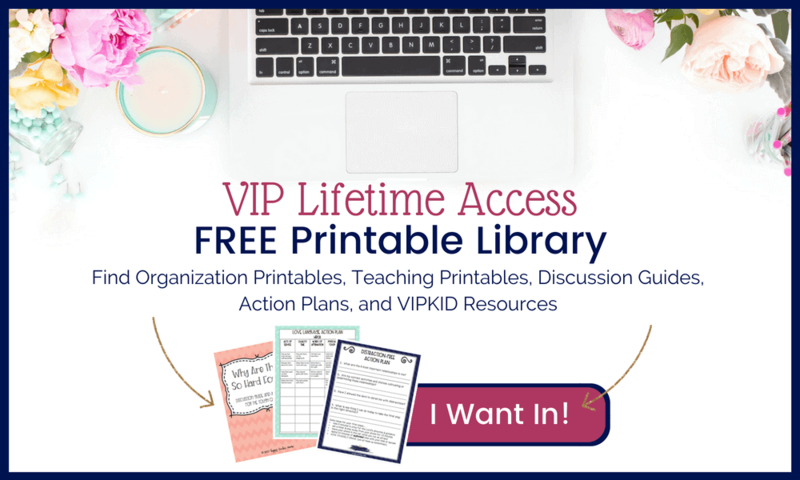 Trust me, the special preschooler in your life will LOVE it! If this had been available when my boys were preschoolers, we would have had it! This play food set is made by Melissa and Doug which means it is of outstanding quality. Your preschooler will get to create a unique pizza and learn through playing. As they get more advanced, you can tell them how many of each topping you want. This will encourage the development of number sense as well as social skills. Combine this set with the cash register, and you have a deluxe set that every preschooler will want! That’s it, my friend! Ten gifts for preschoolers that will encourage learning, develop essential skills, and won’t break the bank! 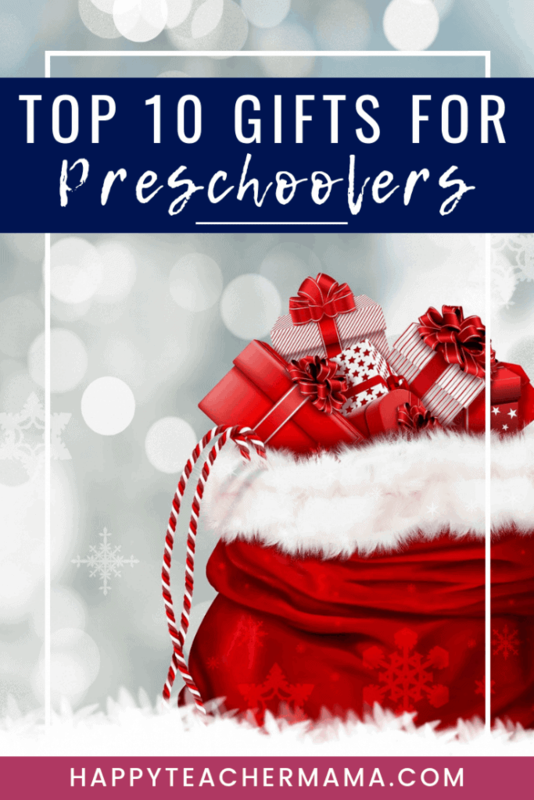 Does your preschooler own any of these gifts? Which ones are you planning to purchase this year? Let us know in the comments below!